One of the biggest reasons why silver has lagged behind gold (80:1 ratio), and has been one of the easiest commodities for the paper markets to manipulate has been the fact that demand for the white metal had been in decline. However a new report out from the Silver Institute shows that as of 2017, this trend may be ending. The Silver Institute published its report on 2017 global demand and supply of silver. Sustained by a record in the growth of the photovoltaic industry, the industrial demand for the grey metal increased in 2017. That was the first time in five years. With an aggregate volume of 599 million ounces, the global industrial demand for silver increased by 4% on a year-over-year basis in 2017. That growth was the result of a 19% increase in the photovoltaic demand, which was supported by a strong global growth of installations of solar panels. Supported by a sturdy growth from China and Japan, the employment of silver in solders and fabrication of hard alloys rose 4% to 57.5 million ounces. Also, the growth in the demand from the semi-conductor market, helped by a healthier global economy, increased the employment of the precious metal in electrical and electronics applications. 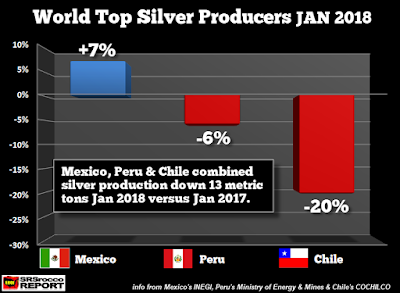 Additionally, silver production and supply fell for the fifth straight year as depressed prices have caused numerous mining operations to close up shop since 2011. 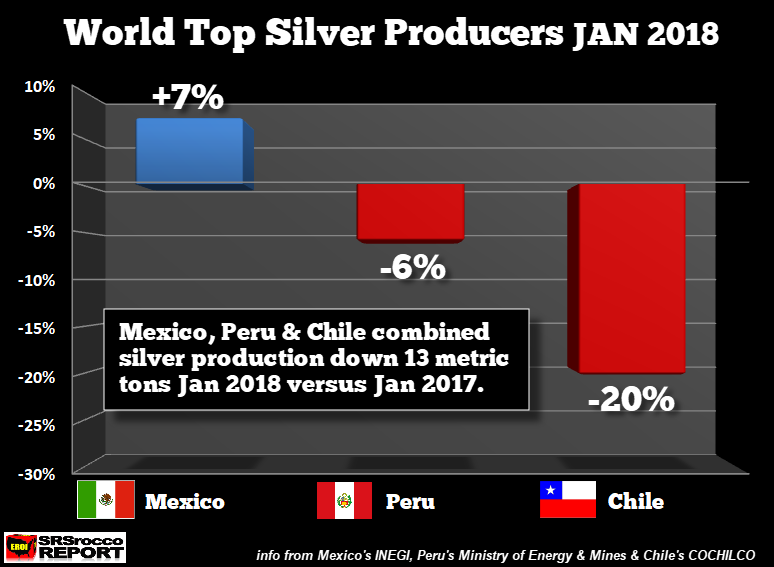 Silver production declined in 2017 by 4.1% marking the fifth year in a row that the silver market overall posted a deficit. Will these factors lead to higher silver prices in 2018? The answer to this question is uncertain, however there is a reason why paper shorting on the Comex has reached all-time historic levels, and it is only a matter of time before the physical markets breakaway from the longstanding paper manipulations that are doing their best to hold the price down.